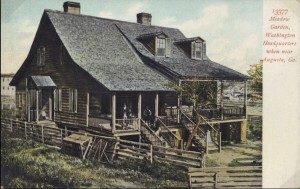 Circa 1900 postcard of Meadow Garden, home of Georgia Governor, United States Senator and Declaration of Independence signer George Walton. Walton lived in the house from 1792 until his death in 1804. 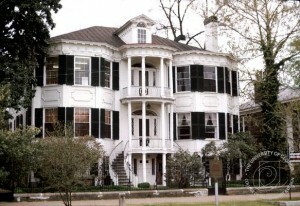 The home still stands in Augusta as a museum. 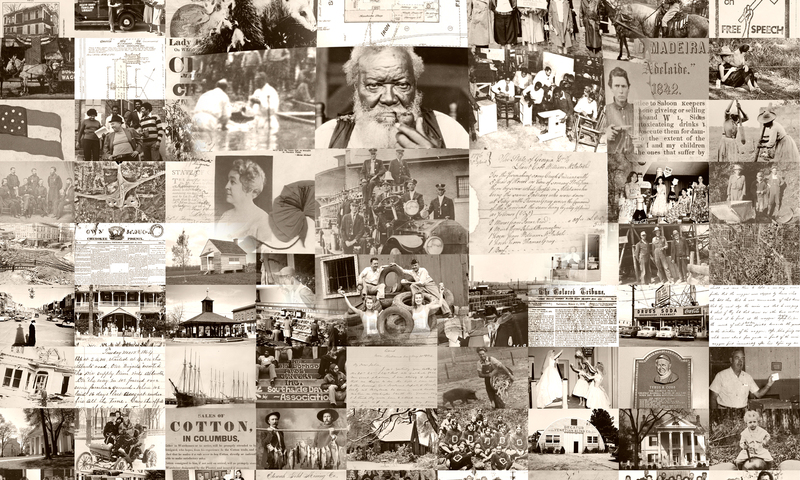 Found in Picturing Augusta: Historic Postcards from the Collection of the East Central Georgia Regional Library. Photograph of the Ware-Sibley-Clarke House from April 1966. The home was originally built for Augusta Mayor Nicholas Ware in 1818. It today serves as the home of the Gertrude Herbert Institute of Art. The home is sometimes referred to as Ware’s Folly because of the high cost of its construction. Found in Owens Library’s Historic Architecture and Landscapes Collection. 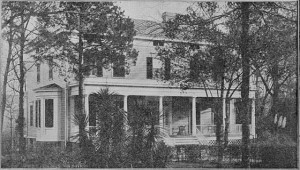 Image of Terrett Cottage circa 1909. It served as the winter home of President William H. Taft. After his election to the presidency in 1908, Taft and his family spent Christmas in Augusta (prior to moving into the White House). During his stay, the president-elect played golf at the nearby Augusta Country Club. Found in the Vanishing Georgia Collection. nice to see some classic villas like that! and may preserve to compensate all those that had been broken "for so long as it takes," an organization reputable said Saturday. "thus far we have no denied any claims," BP’s lead claims coordinator Darryl Willis instructed journalists in a convention call from Orange sea coast, Alabama. BP has no longer set aside any funds for compensation, he pointed out and harassed: "we will do this until it’s performed. "we will stay with it till individuals are capable of go back to their frequent way of life on the Gulf Coast," Willis pointed out. The BP reliable pointed out that since the commence of the oil spill with the explosion of the Deepwater Horizon oil rig on April 20, BP has made out more than 17,000 assessments "frequently fishermen, shrimpers, oyster fishermen and crabbers." up to now, the corporate has paid out a few forty six million dollars in legitimate claims and expects to pay an identical quantity in the course of the contemporary month of June, Willis said. "it’ll be 84 million (dollars) plus.. oil spill claims. a minimum of what it became in may additionally if no more." "we will make those payments for as long as it takes," he delivered. He spoke of the preliminary declare threshold of 5 bucks changed into to get things shifting directly and that i may expand in long run. The BP department dealing with the Gulf of Mexico oil spill claims, he mentioned, has grown from 10-15 firstly of the problem to a group of workers of one running round the clock in 25 offices along the Gulf coast. as possible, Willis talked about: "standard time from call to examine is 5 days."